Well, i decided to create my own website. Here I will share with you some works that have accumulated over a long period of time. Very good. Where all this can be found? 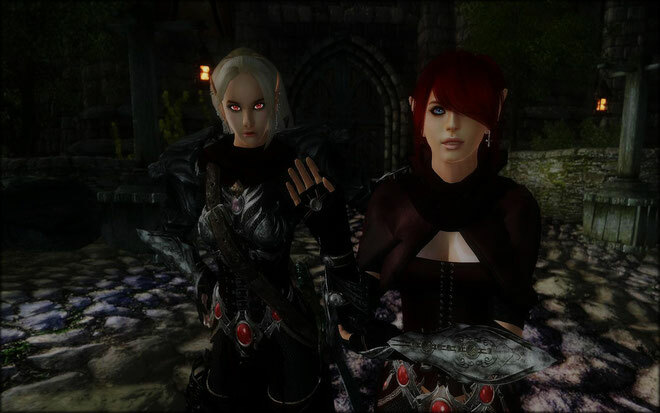 Thanks for all the awesome oblivion stuff, and the link to the Paladin armor is down, is it possible to re-upload please? ohh thats fine, i respect that. btw if you have time would you mind giving it a thought to retexture the red parts of the warlock gear to white and the black star to red? deadly mog I'm sorry but this armor was made only for character Sasha. we miss you in the TESA chat. I re-download the file Paladin. Sasha do you mind me posting screenshots of my character using ur weapons on the nexus, ofc id give you credit. and btw just checked the links too all are working but the paladin file on 4shared is invalid. Oh and a happy new year to you guys! I checked out the all link and all works. I am sorry but there is no. Privyet - will you be releasing your companion Didlit? Awesome blog man, lookin' forward to some more Dark Souls ports. YEEEEEEEEEEEE!!! Soemone else to link to!! !